Who could be SmackDown Live's new marquee signing? 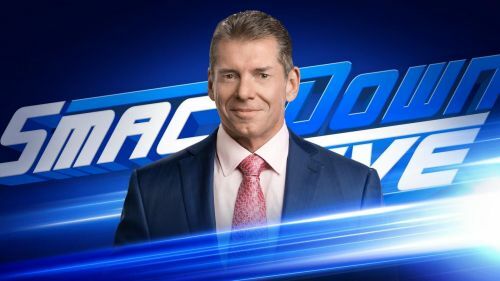 After the first day of the Superstar Shakeup that saw some marquee moves to the Red Brand, the craziness is set to continue on SmackDown Live. And the Chairman is set to announce the biggest acquisition in the Blue Brand's history! Who could it be? While the first day of the Superstar Shakeup was exciting, SmackDown Live lost some big names like AJ Styles, The Miz and The Usos among others. The Blue Brand will be hoping to get some big names in their ranks to compensate for their loses. And with Mr. McMahon, the excitement is sure to reach fever pitch. Paige revealed last week that she has kept a close eye on the WWE Women's Tag Team Champions, The IIconics, and has promised to bring in a new team to challenge for the titles. Given her work with Absolution in the form of Sonya Deville and Mandy Rose, the WWE Universe would be on the edge of their seats to know who could this new team be. With WrestleMania 35 over and the celebrations in the rear-view mirror, it's time for the new WWE Champion Kofi Kingston to get his focus back on the challenges that lie ahead. The New Day member got a taste how tough the talent would be when he had to face-off against the Bar and Drew McIntyre. With the Superstar Shakeup also in the horizon, what will be the new challenges that await the Dreadlocked Dynamo? The Hardy Boyz became the SmackDown Live Tag Team champions last week and took a giant leap in becoming the greatest team in all of time and space. With things shaking up, will there be a new team to emerge and challenge Matt and Jeff for the titles? Guess you will have to tune-in to find out. WWE SmackDown Live can be watched live on USA Network in the United States of America, while the show will air on Sky Sports Main Event and Sky Sports Arena in the UK. WWE SmackDown can be watched live on Sony Ten 1 and Ten 3 (Hindi) channels in India. The show will air from 5:30 AM on 17th April.